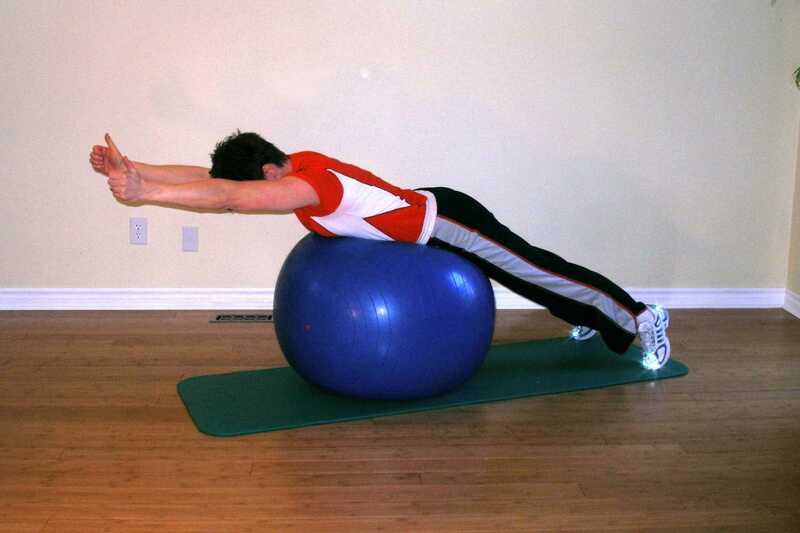 Start this rotator cuff ball exercise by kneeling on the floor behind the ball. Stretch forward over the ball until your waist is over the top of the ball. Toes rest on the floor shoulder width apart. Hands rest lightly on the floor in front of you about shoulder width apart. Hold your shoulder blades down and back. Raise your arms forward so that they are approximately 135 degrees to your trunk with your thumbs pointing up toward the ceiling. 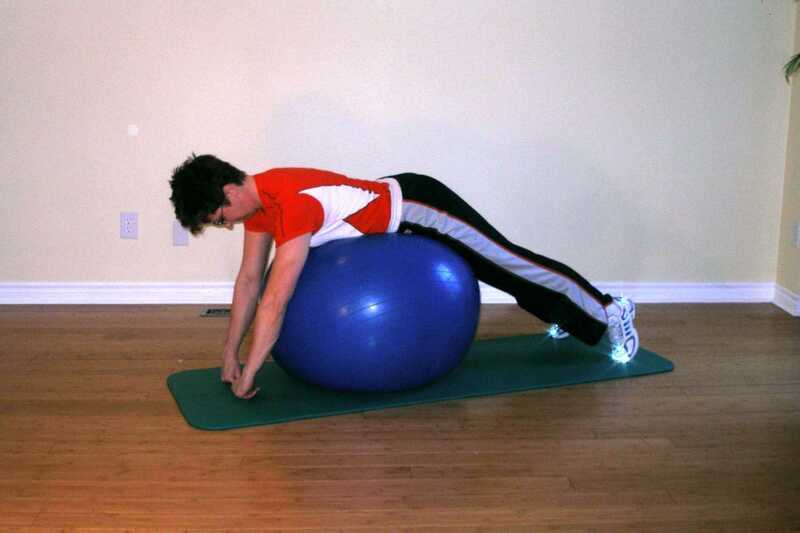 Add more air to your exercise ball to reduce stability and force your core stabilizing musculature to work harder. Move your feet closer together. Try doing this exercise with one foot off the ground to reduce the size of your base of support. This exercise ball exercise biases the supraspinatus muscle, a muscle often neglected in lifters to their detriment later on. Body builders like to work on the deltoid muscle to round out their shoulders; however, creating muscle imbalances between the deltoid and supraspinatus can lead to impingement and ultimately to tendinitis, tendinosis, and tears. This is a significant muscle involved in shoulder stabilization so is important in most sports involving use of the upper extremities. If you are a swimmer this is a very important exercise for you. For more exercises to include in your swimming dryland training program click here.